I bribe myself. Need to do a mundane household task like cleaning the top of the kitchen cupboards or washing the net curtains? I’m going bribe myself into it with agreeing to buy that book I’ve been meaning to tick off my list. Need to write an assignment? Totally going to reward myself with a Netflix binge watch. 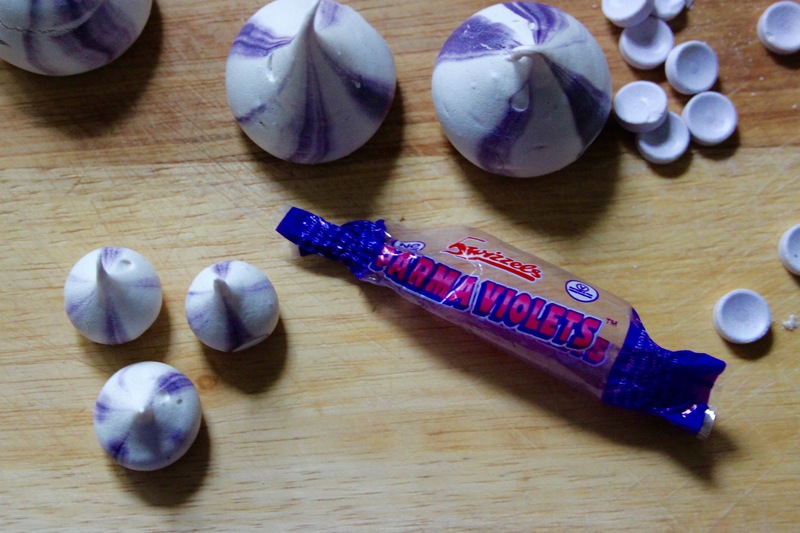 Parma Violet Meringues: Crisp, coloured meringues flavoured with the gentle, floral sweetness of a British childhood classic, Parma Violets. 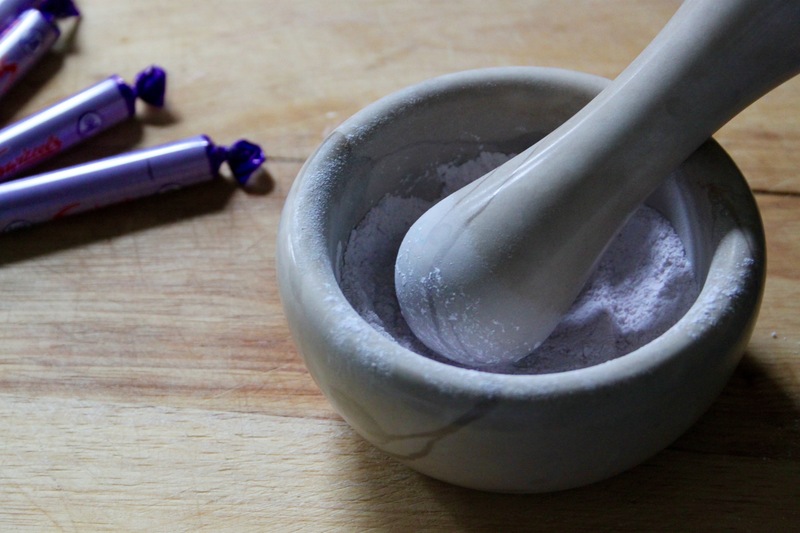 3, Turn the speed up and slowly start adding in the caster sugar (EDIT: and the crushed parma violets). 4, Carry on beating the mixture until you can rub a tiny bit between your fingers and it doesn’t feel grainy and you’ve reached a thick glossy mixture that holds its shape when you lift the whisk. 5, Preheat your oven to 100 degrees C and line a baking sheet with baking paper. 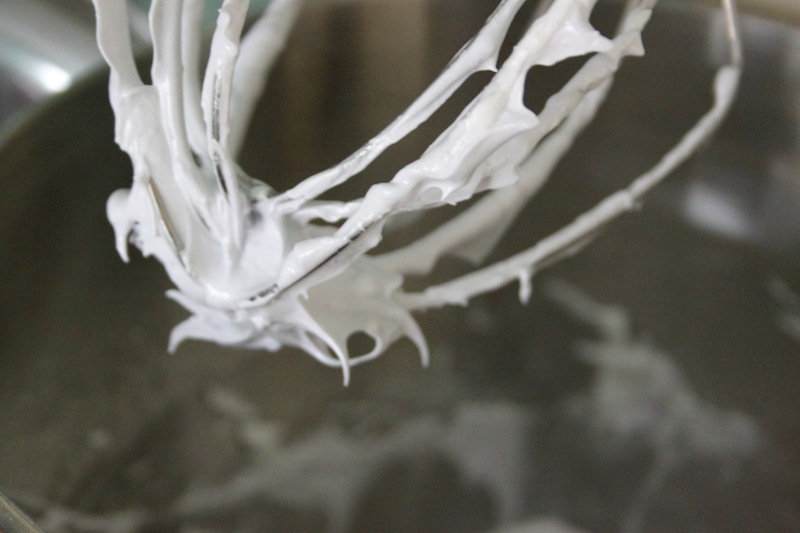 6, Fit a disposable piping bag with a round nozzle. 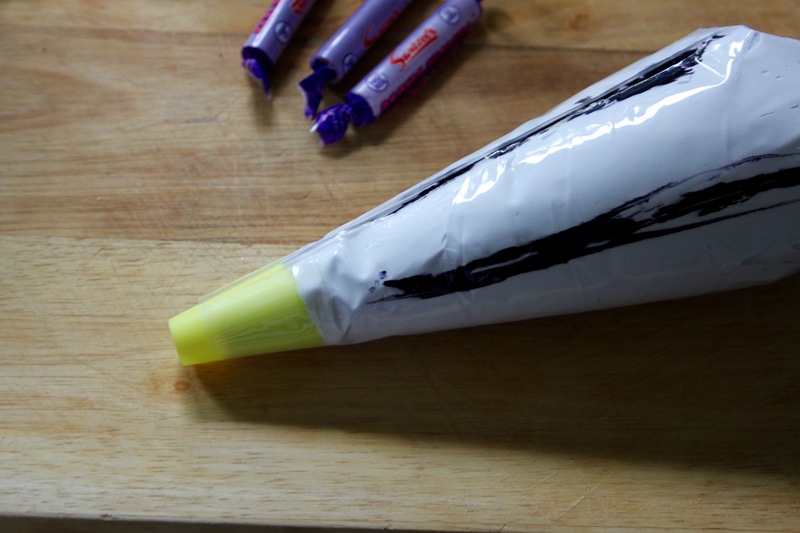 Dip a skewer in the purple food colour paste/gel and drag it up the sides of the piping bag, creating three or four stripes. 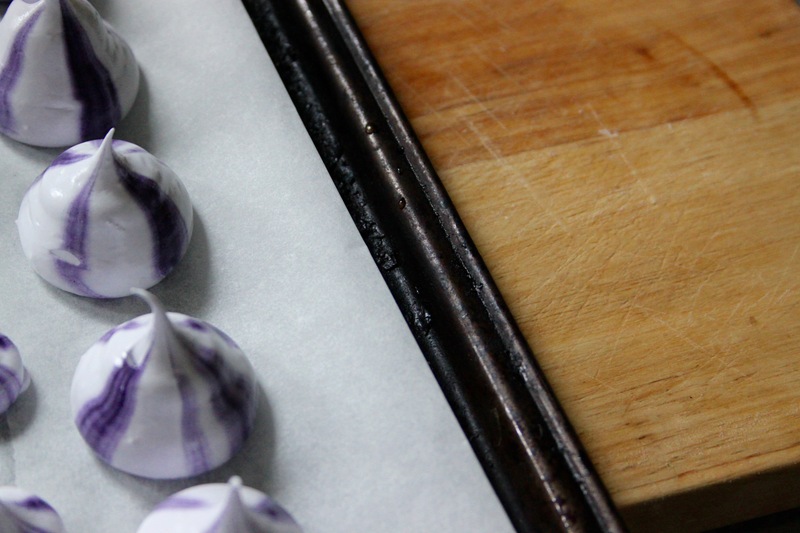 Decant the meringue mix into a piping bag and pipe onto the baking sheet, holding the bag vertical to the sheet with a 1cm gap, squeeze and pull up into a point. 7, Bake for one hour (if they’re small) or one and half to two hours if they are large. Then turn off the oven and leave until completely cold. 8, Store in an airtight container for up to two weeks. Oh. My. God. Want to eat these right now!! 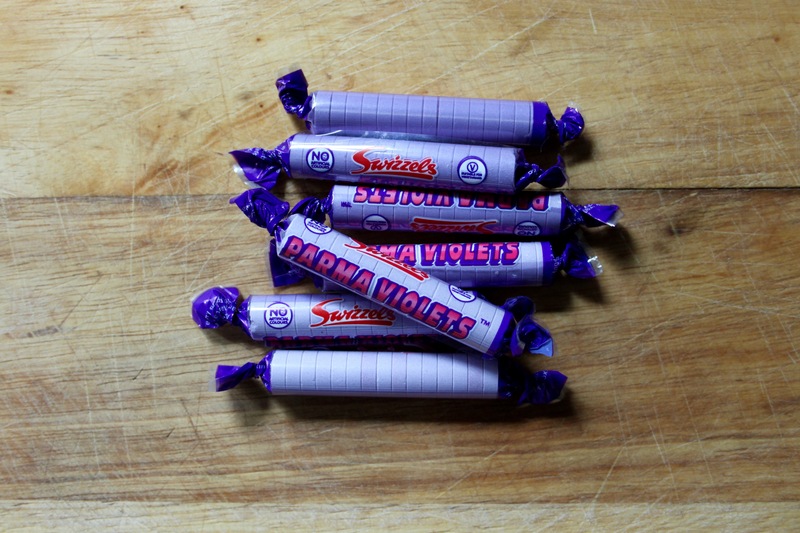 Parma violets = crack…I NEED these! Hi, I can’t see when you add the crushed palma violets in this recipe. Is it with the caster sugar?